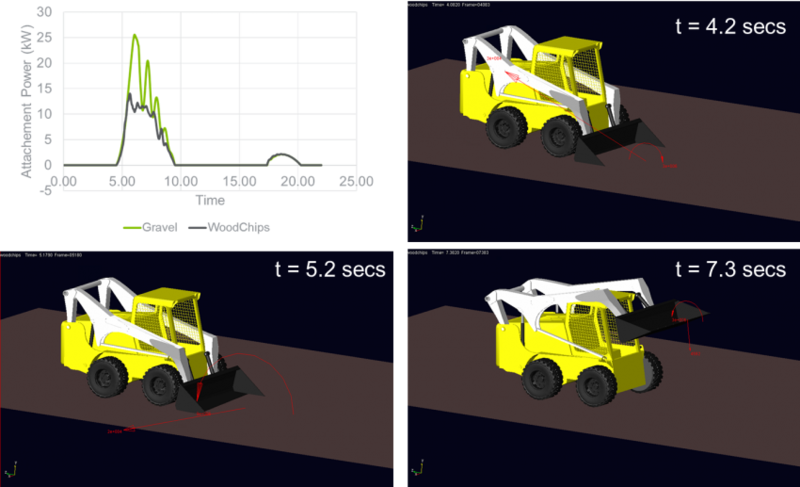 In this final blog of our Adams-EDEM co-simulation series, Darren Simoni from DSIM Technologies explains how EDEM and Adams have been used during the design of a skid-steer loader to increase the accuracy of system level simulation using less time and effort than traditional load estimation methods. Today's vehicle and powertrain engineers face increasing challenges to meet fuel economy and drive quality targets, while at the same time keep vehicle cost reasonable. Many of the new engine technologies designed to improve fuel economy create difficulties for the noise, vibration, and harshness (NVH) engineer, whose job it is to assure a certain level of comfort for the occupants. 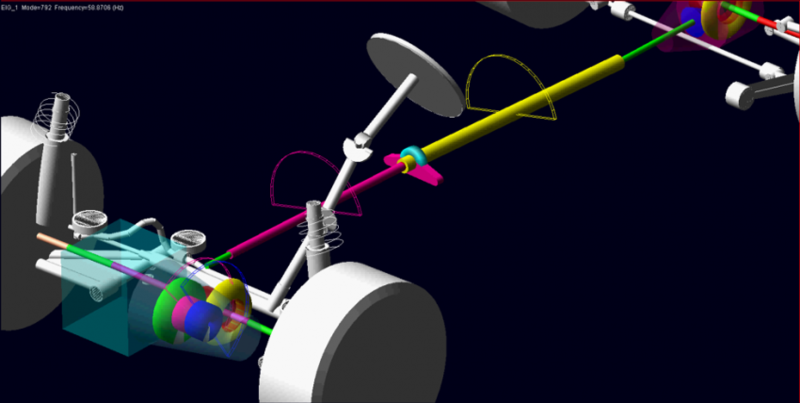 In my previous blogs I introduced the Adams-EDEM coupling, and explained how it works. In this post I want to share with you two examples of the Adams-EDEM coupling in action! 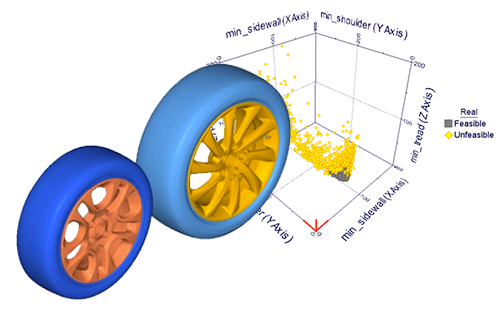 The role of fluid dynamics simulation in the design and development of various products has recently undergone what is arguably a paradigm shift due to the ability to simulate unusually complicated, multi-component, hydraulics flow circuits using three dimensional (3D) computational fluid dynamics (CFD) models. 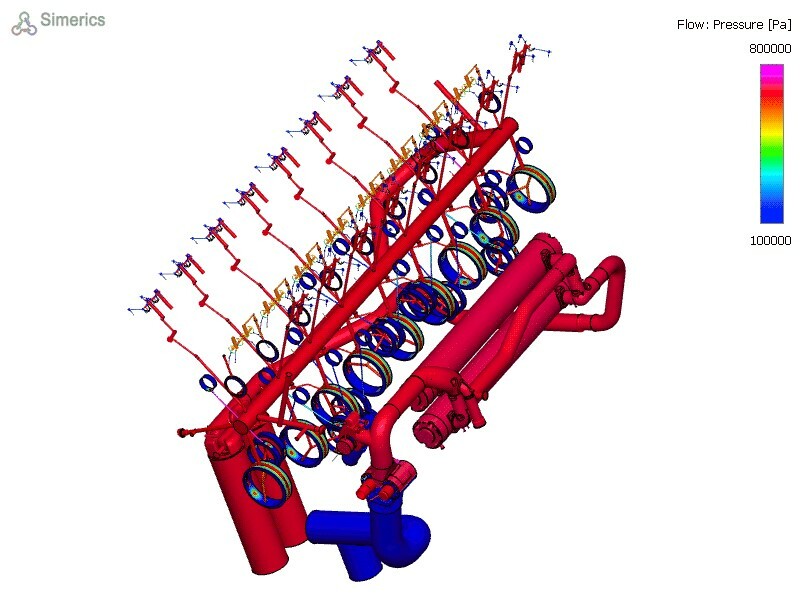 The example shows a lubrication system model (developed using the Simerics-Sys / PumpLinx CFD software) for a 16 cylinder reciprocating internal combustion engine. 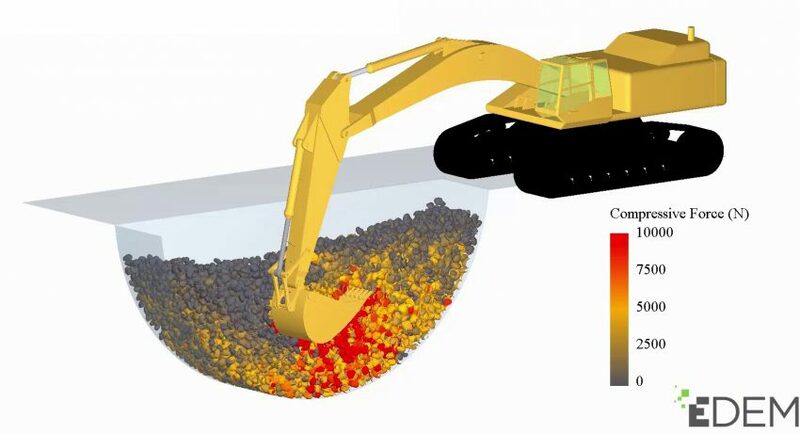 This represents an advance in system-level modeling of hydraulic fluid networks over the current state of the art which is a blend of zero and one-dimensional models. This also represents continued progress in the role of CFD from the traditional component level modeling to system level modeling. System level modeling provides insight into interactions between components. Finally, it is equally important that model setup and run times are reasonable relative to development time scales. 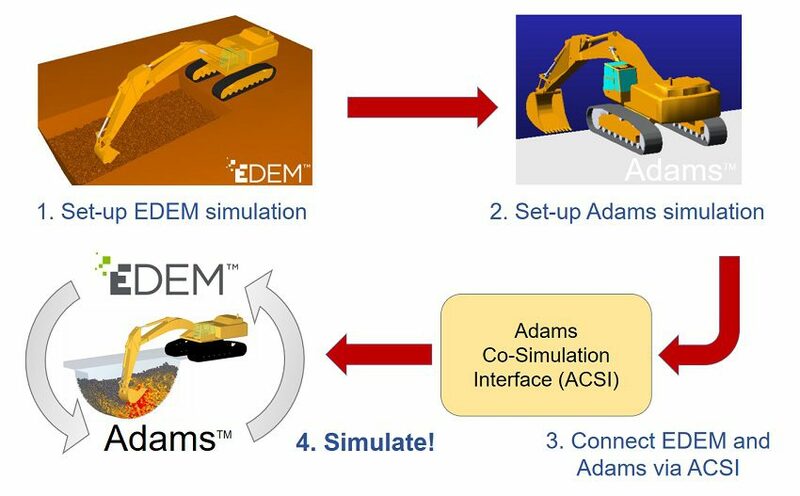 In my previous blog post I introduced the Adams-EDEM coupling that allows engineers to realistically simulate how bulk materials interact with their systems dynamics. In this post I want to give some insight on the workflow needed to use the coupling. When developing the sub-systems of a vehicle, compromises have to be made among several contrasting objectives. On one hand, one wants to set all sub-systems – such as suspensions – so that they allow efficient and safe handling of the vehicle. On the other hand, comfort cannot be sacrificed too much. Being the support of the vehicle and providing forces necessary to control it, pneumatic tires are one of the most important components. However, it is very challenging to model them due to both their complicated composition and the materials used in their manufacturing process. On top of that, the modeling is done by suppliers and an in depth understanding of the interaction with the vehicle must be attained.